She says the special counsel would have been remiss not to scrutinize the former Trump campaign chairman as part of the probe into Russian election interference. 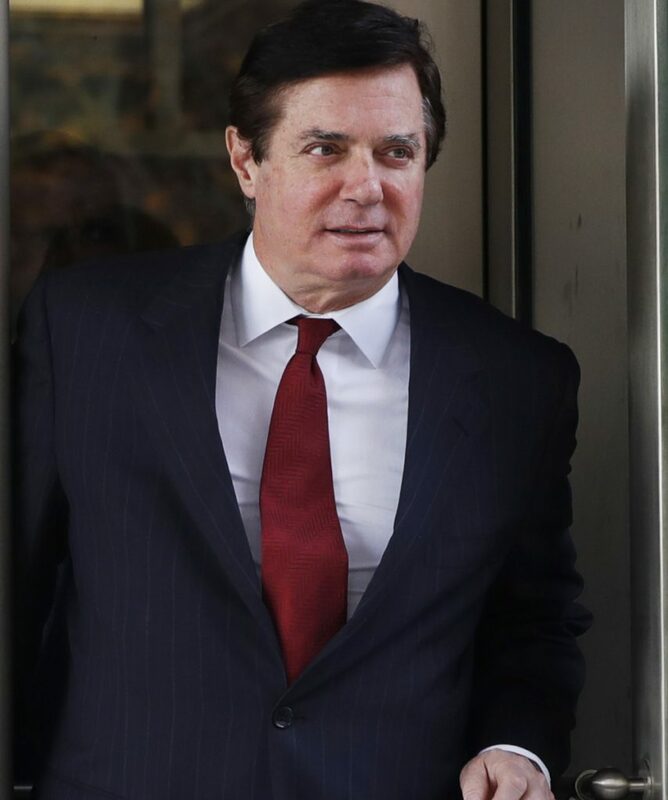 WASHINGTON — Special counsel Robert Mueller was working within his authority when he brought charges against President Trump’s former campaign chairman Paul Manafort, a federal judge in Washington ruled Tuesday. The decision was a setback for Manafort in his defense against charges of money-laundering conspiracy, false statements and acting as an unregistered foreign agent related to his Ukrainian political work. Manafort had argued that Mueller had exceeded his authority because the case was unrelated to Russian election interference. But U.S. District Judge Amy Berman Jackson disagreed. Citing Manafort’s years of work in Ukraine, his prominent role on the Trump campaign and his publicized connections to Russian figures, Jackson said it was “logical and appropriate” for Mueller’s team to scrutinize him as part of their investigation into Russian election meddling and possible coordination with Trump associates. “Given what was being said publicly, the Special Counsel would have been remiss to ignore such an obvious potential link between the Trump campaign and the Russian government,” Jackson wrote. Jackson said Justice Department regulations allow for a “broad grant of authority” for special counsels. And regardless, she wrote, it was clear that Mueller had been specifically authorized to investigate not only Manafort’s possible links to Russia but also his Ukrainian business. She cited an August 2017 memo by Deputy Attorney General Rod Rosenstein that prosecutors had filed in the case. The memo shows Rosenstein specifically authorized Mueller to investigate payments Manafort received from the Ukrainian government “before and during the tenure” of then-President Viktor Yanukovych, who was one of Manafort’s clients. Jackson had previously thrown out a civil case Manafort brought challenging Mueller’s authority. Her decision Tuesday allows one of two criminal cases against Manafort to proceed. In addition to the Washington indictment, Manafort also faces charges in Virginia of bank fraud and tax evasion. The Virginia indictment accuses him of hiding tens of millions of dollars he earned advising pro-Russia politicians in Ukraine from 2006 through 2015. It also accuses him of fraudulently obtaining millions in loans from financial institutions including while he worked for the Trump campaign. None of the charges against Manafort involve crimes related to Russian interference in the 2016 presidential campaign. Manafort has pleaded not guilty and denied any wrongdoing. Manafort has filed a similar motion to dismiss his charges in Virginia. U.S. District Judge T.S. Ellis III has yet to rule on it. Ellis had previously grilled Mueller’s team on whether the case was within his mandate and questioned whether they brought the case to get Manafort to testify against Trump.